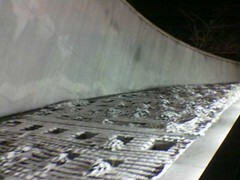 Snow covers the terraces within The Bowl, Dupont Circle north escalator. We got a good 1-2″ by the time the snow stopped at twilight. Sadly I will probably not have time to go out and take photos.